This photo shows Sardinella pacifica. 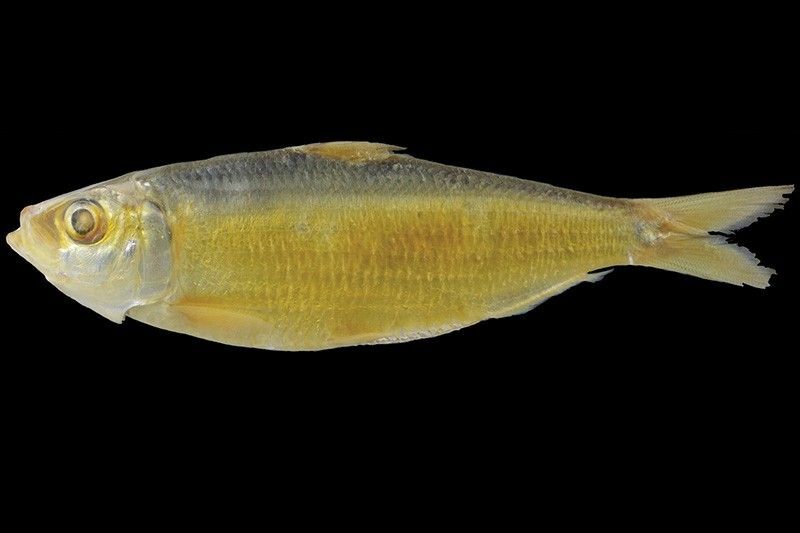 MANILA, Philippines — A new species of sardines has been discovered in the waters of Manila Bay and other parts of the country. A peer-reviewed journal article by Japanese taxonomists Harutaka Hata and Hiroyuki Motomura said the new species of sardines called Sardinella pacifica can be only found in the Philippines—in Quezon, Sorsogon, Samar and the Manila Bay. The new species closely resembles Sardinella fimbriata. “During a revisionary study of Sardinella, 21 specimens of a clupeid fish from the Philippines were found to be characterized by a unique combination of scales with centrally discontinuous striae, a dark spot on the dorsal-fin origin, and low counts of lateral scales in the longtitudinal and pseudobranchial filaments. They are described herein as a new species of Sardinella,” the journal article read. The discovery prompted a renewed call to review and assess reclamation efforts in Manila Bay to protect marine life in the area. “We appeal to President Rodrigo Duterte to stop all reclamation projects lined up in Manila Bay,” Gloria Estenzo Ramos, vice president of advocacy group Oceana Philippines, said in a statement sent to News5.